At present, around 400,000 individuals in Sri Lanka (2 percent of the national population) have hearing impairments. These individuals face barriers in education, employment as well as access to special facilities. In September 2017, the government introduced the Conversational Sign Language Bill, which proposes to make Sign Language an official language of Sri Lanka. If passed, the bill will enable those with hearing impairments to have better access to education, healthcare and government services. This will be a big step for Sri Lanka, as it will become one of the 39 countries in the world to give official status to sign language. Representing the Sri Lanka Federation of the Deaf, the speakers shared their experiences as consultants in drafting this legislation. In doing so, they highlighted the barriers faced by the hearing-impaired community in Sri Lanka and the actions that need to be taken to secure their wellbeing. 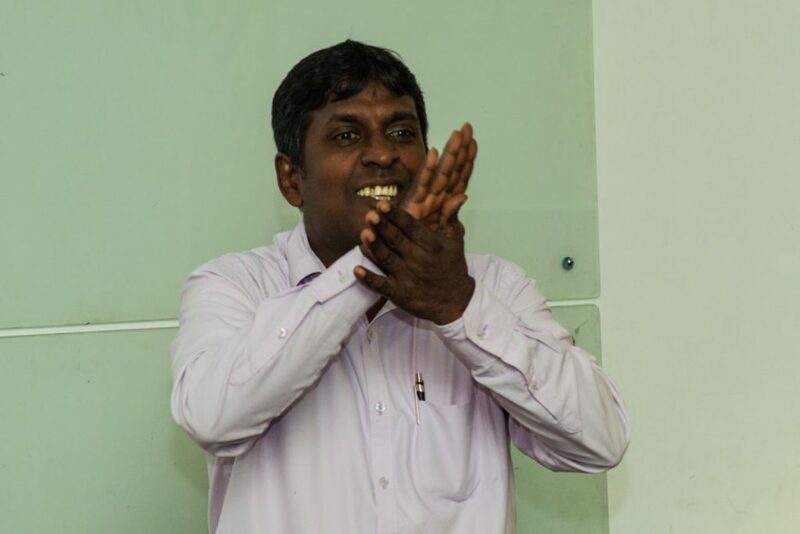 The speakers conducted this seminar in sign language, using a Sinhala interpreter.